After neglecting makeup organisation throughout Winter, I've switched products around, filled the drawers up with the products I've recently picked up and removed any items I no longer get use out of to either sell or donate. 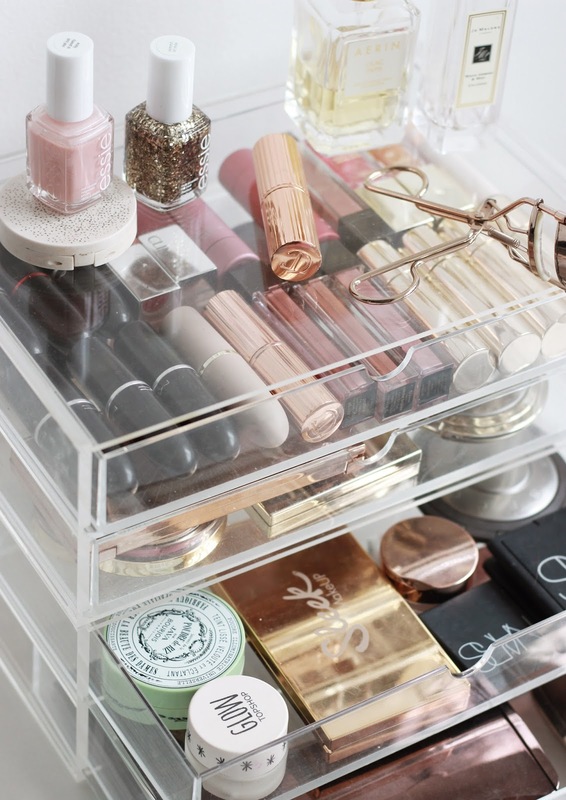 I've always used my four drawers to store away the makeup I am currently rotating, depending on the season. As it's now Spring and we're quickly heading towards Summer, I've started to switch out my matte offerings in favour of nourishing, plumping picks for the warmer months. 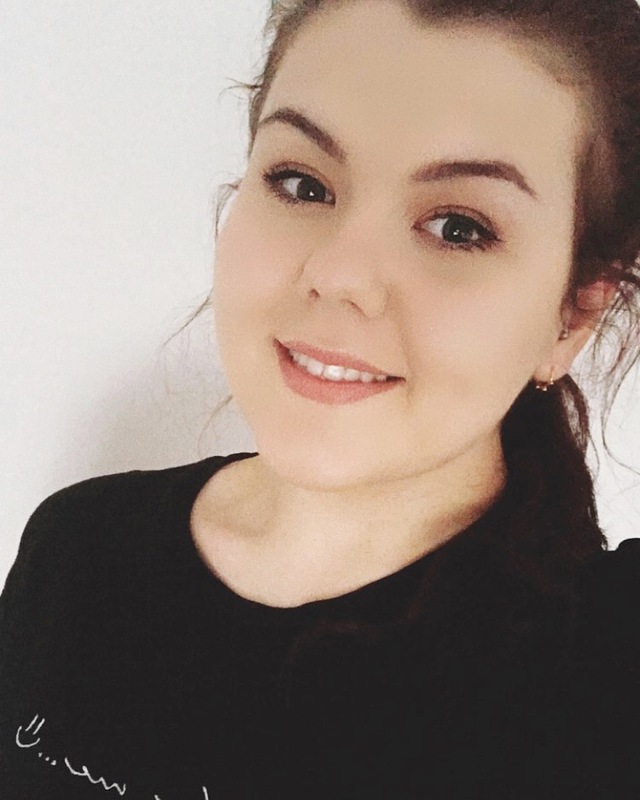 Saying this, I like to keep a few of my favourite matte liquid lipsticks to hand for nights out, so the Jouer Lip Crème's and NYX Soft Matte Lip Creams are two of my favourites at the moment. The top drawer usually enables me to get the most out of all my lipsticks by selecting a few for that month for easy reach. 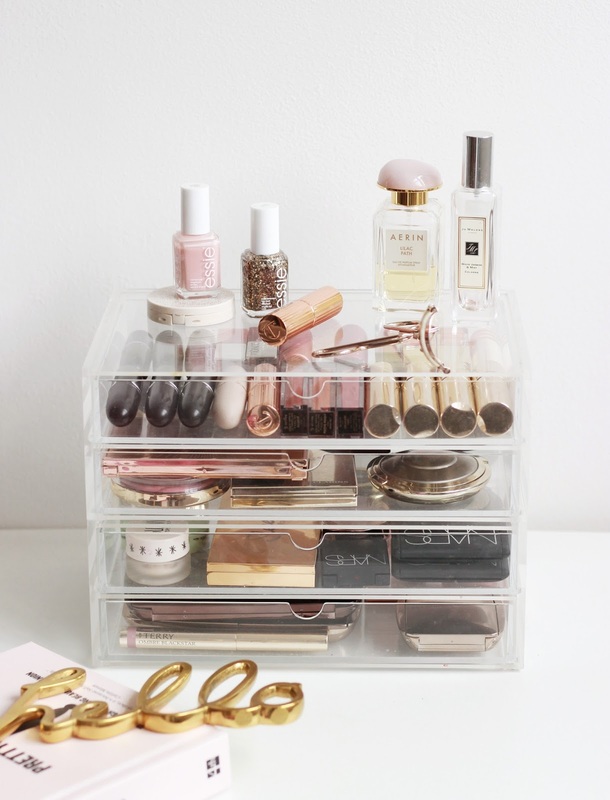 As you can probably see in my photographs, my muji drawers are currently storing a wide variety of radiance boosting, glow inducing products that I enjoy incorporating into my daily makeup routine. 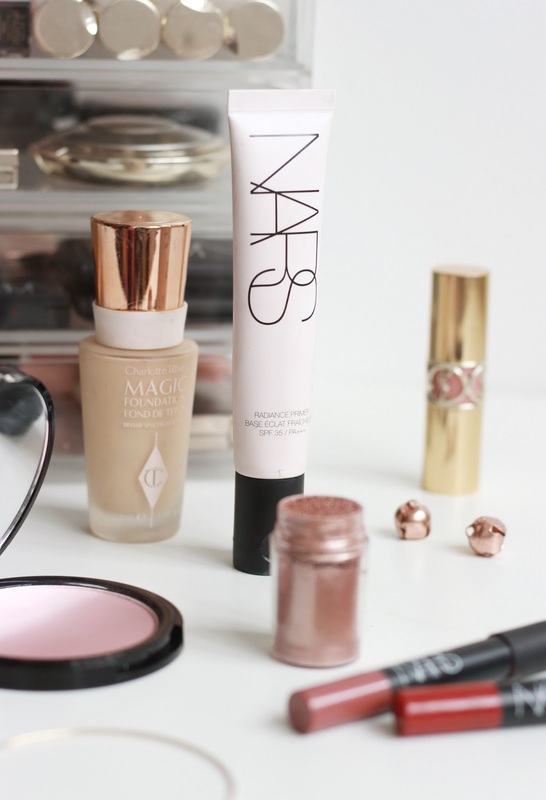 From primers to highlighters, I like to keep them to hand for easy application. My top two picks are currently the Bourjois Poudre Java Powder; a divine makeup setting powder, and The Balm's Mary Lou Manizer; a honey hued highlighter. For perfume, I like to make sure I have a few favourites on top of my storage for an easy spritz in the morning. I've finally began using the Aerin Lilac Path offering daily as the lightweight, floral scent is perfect for Summer. I've accumulated my fair share of face powders and blushers over the past year, but as someone who has only got one face, I can't justify filling my makeup bag with more than one. 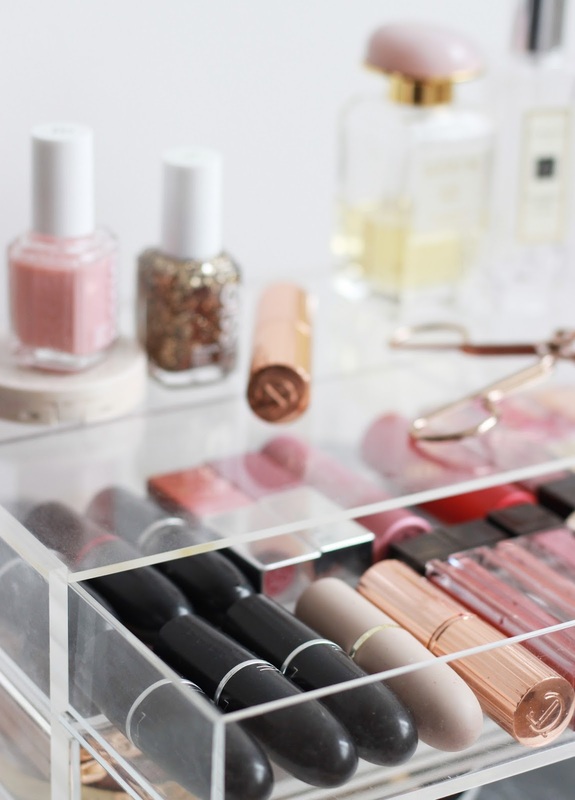 Depending on the occasion, I like to swap and switch up the colours and the formulas I wear, so the Muji drawers are great at being able to select one with ease.